I’m an assistant professor in the computer and software engineering department at Polytechnique Montreal. I do research in computer and network security. 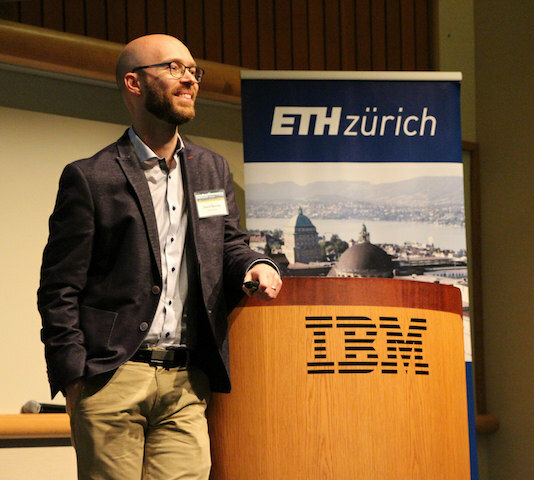 I was previously a visiting scientist at IBM Research in Zürich and a postdoc at ETH Zürich doing research on security and privacy of IoT, and future Internet architectures. I received my Ph.D. from Carleton University in 2014 under the supervision of Paul van Oorschot. While my main research focus is network security, I’m also interested in Android security, data privacy, usable authentication, and Bitcoin. I have been awarded the 2018-2019 Meritas Award at Polytechnique Montreal in the category Best undergraduate professor in Computer Engineering. Huge thanks to the students who voted for me! Happy 2019! This year I’ll be teaching a new course on Operating Systems Security. More info on the course website. I was nominated for the Meritas award at Polytechnique Montreal in the category Best undergraduate prof. in Computer Engineering. Thanks to the students in my security course for the nomination!